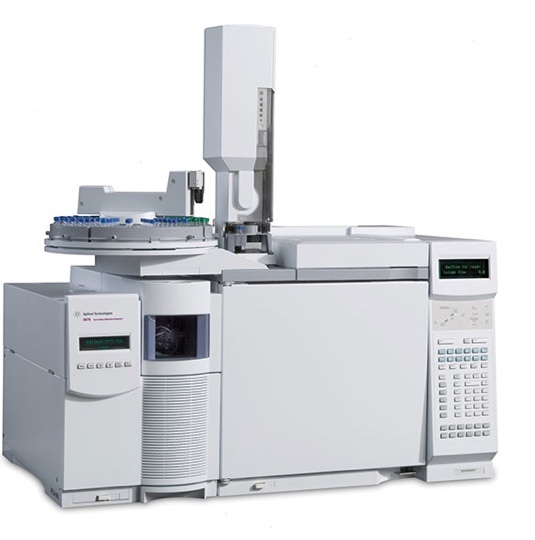 Gas chromatography is the analytical work-horse for most ILS fixed-bed units. It has the advantage of being extremely quantitative. Standard GC’s with temperature programmed ramping ovens are also very flexible allowing us or our users to easily modify column configuraitons and selections. Micro-GC’s provide much shorter method times, resulting in higher data density without having to compromise on data quality. Liquid chromatography provides a powerful tool for online analysis of liquid products formed. A challenging aspect of on-line liquid GC analysis remains the often long analysis times. Particularly for things like SimDist this can be challenging. For such cases, ILS prefers to use the approach of online liquid fraction collection with subsequent offline analysis. Light spectroscopic techniques generally have the intrinsic advanage of being both sensitive as well as time-resolved. The challenge often remains being able to accurately calibrate the device and obtain sufficiently unique fingerprints to prevent the false assignment of peaks to the wrong components. In particular FTIR has repeatedly proven to be an extremely robust and highly-quantitative measurement method for ILS. ILS units are designed to insure that precise gas flows are sampled at exactly the correct temperatures and pressures required to make 100% that data quality can be insured. ILS is making increasing numbers of automotive testing units each year. Our automotive clients have extremely stringent requirements for the data quality our units provide. Excellent time-resolution is required and a large number of small-molecules must be measured with high precision from the ppm up to the vol% concentration range. For such applications, ILS often works with external analytical suppliers like iAG. Here we can aquire fully-integrated gas and vapor analytical techniques that include analytical devices like FTIR, paramagnetic O2 detection and FID for analyzing organic compounds.We have a wealth of expertise insuring that the gas/vapor flow to the analtical devices are properly conditioned in order to obtain excellent data quality. The complex nature of refining feedstocks and products makes is particulary challenging. 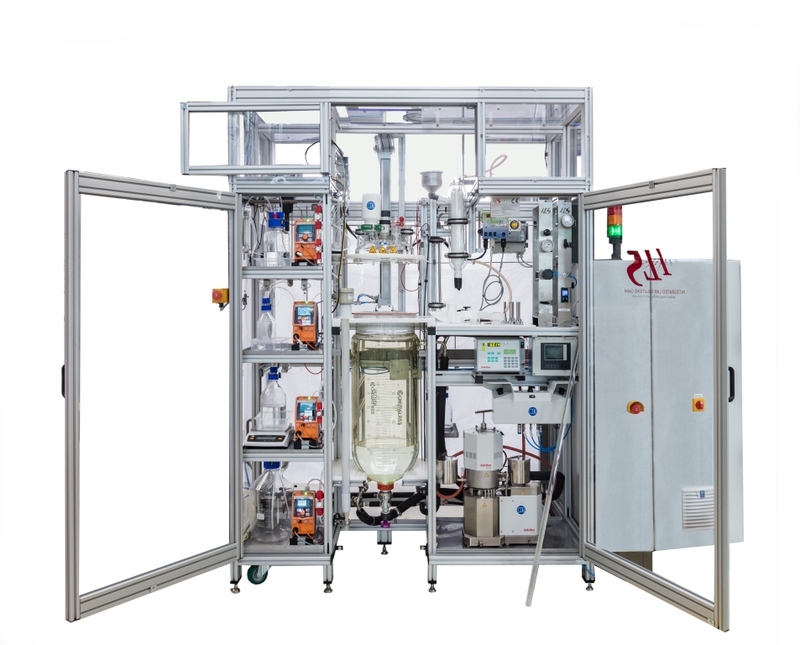 ILS refining R&D testing units provide precise liquid- and vapor sampling components. 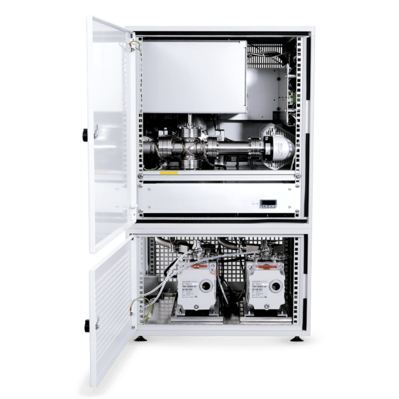 For our trickle flow units we use a unique, 2-phase backpressure control system in combination with heated transfer lines that makes it possible to analyze a significant fraction of product gases in the vapor phase. Condensible products are then sampled online into sealed analysis vials for offline analysis. This approach makes it possible to excellent carbon balances on the order of 95-98%. ILS can provide the data integration software required to easily tie-in the results from various offline analytical devices. This approach makes it possible to achieve excellent carbon balances on the order of 95-98%. 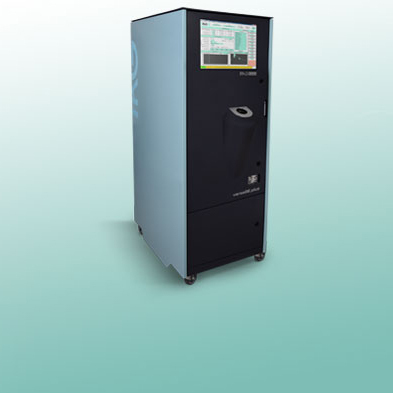 The unit shown in the photo to the left includes an extremely-flexible, fully-integrated online GC for C1-10 Analysis. 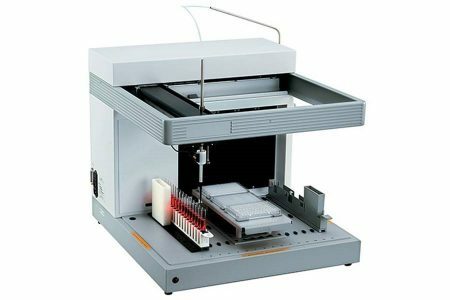 The Autosampler is used for performing SimDist analysis of condensable products collected in the online liquid sampler. For batch or CSTR processes incorporation of online monitoring probes can provide a powerful insight into products formed and reaction kinetics. ILS has made multiple units that measure everything from electrical conductivity to pH to particle size on-line and in real time. For numerous units we have been able to use these measurements to control various process parameters to give our clients significantly tighter control of their materials preparation. Typical examples include pH-Controlled precipitation reactions, conductivity-controlled fuel-cell catalyst synthesis or particle size determination for emulsion polymerizations (Sopatec probes). The image to the right is an example of a 50L fuel-cell catalyst preparation reactor where pH-controlled precipitation was key to reproducibly obtaining the desired catalyst morphology. ILS implemented high-temperature Mettler-Toledo pH probes to achieve this. Liquid and solid handling is often an essential component of ILS units. Liquids and slurries handling involves the removal or addition of these components either continuously, semi-continuously or at fixed intervals to or from the reactor. 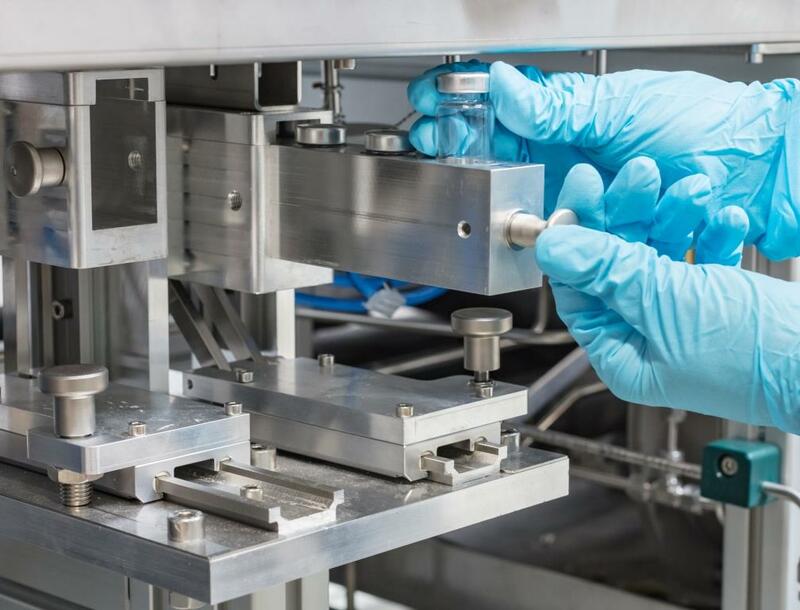 ILS works with external, 3rd party suppliers like Tecan, and constructs its own, highly-customized liquids and slurries handling robotics depending on the level of complexity and flexibility required by our clients for the application in question. Liquid sampling from fixed-bed or batch reactors is often an essential step in the overall R&D analytical workflow. ILS can offer liquid samplers in this case, which are capable of extracting liquid from reactors even at high pressures and placing precisely-defined aliquots of liquids into pre-labelled sampling vessels for later, offline analysis. 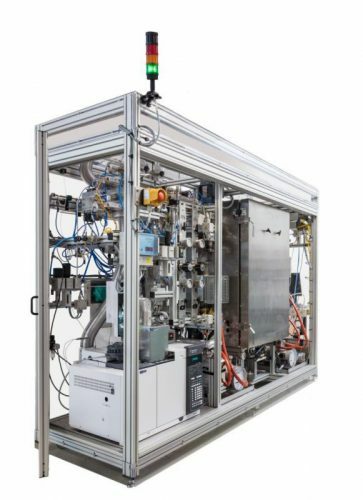 The unit illustrated here can sample minute liquid amounts from a high-throughput parallel hydrogenation reactor operated at up to 300 bars directly into sample vials for offline analysis.